1) How do you conduct research? In my experience, extensive rewrites often occur due to failures in the information-gathering and research phase — not the writing phase. If a writer doesn’t have digital research savvy or the skills to ask the right questions and probe for the details they need, the result will be bad content. In addition to digital research, great writers know how to effectively interview your subject-matter experts to find and showcase the expertise, ideas and insights buried deep inside your company. 2) What’s your editing and project management process? Doesn’t having to make extensive edits negate the whole point of paying a writer in the first place? Great writers pride themselves on writing content that requires minimal edits. While there’s always a ramp-up phase where the writer is learning your preferences and style, once you get into a groove with your writer, the edits should be minimal. If your content needs are significant, then you’ll also need a content writer with organizational skills and a defined project management process. How will they manage multiple content requests and deadlines, build in enough time for research and client reviews, and incorporate your preferences and style guidelines in each piece they deliver? If your writer is a scatterbrained creative who’s never juggled multiple content pieces, run the other way. 3) How would you get to know our business and industry? 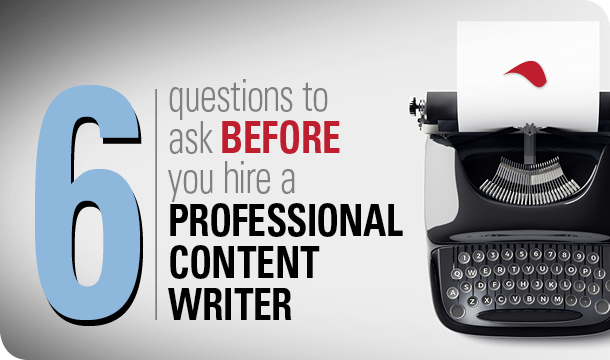 Great content writers are voracious learners. They love digging deep to truly understand concepts. They don’t skim the surface and write pretty, shallow copy. They make sure they “get it” before they ever put pen to paper. 4) What search engine optimization (SEO) best practices do you use? While SEO best practices have evolved, keywords still form the foundation of a solid SEO strategy. A good writer will have a go-to tool (or tools) to research SEO keyword phrases. Once those keywords are identified, a good writer will know how to implement them into copy naturally and effectively. SEO-savvy writers will also implement internal links throughout the copy and spend time crafting headlines and subheads that incorporate important keywords while also engaging the reader. 5) What makes great content? Know that simple is always better. They never make the reader work to understand the information. Understand the power of examples, metaphors and imagery to convey complex information. Can effectively weed out needless jargon and get to the heart of the message so that today’s busy readers don’t have to wade through obtuse language and unnecessary details to get the information they seek. Have a strong, confident writing voice, but can also write in your brand voice. Understand that the internet has changed the way people read. They know, for example, that online readers don’t read from top to bottom and instead engage in a behavior called “information foraging,” following an “information scent” as they hunt for information. Writers who understand this create content that guides readers with information cues like subheads, bullet points and lists. 6) What do your clients say? Our clients tell us that they highly value our writers and are happy to tell other people about our work. I’ve heard over and over again how surprised and delighted they were to finally work with a B2B marketing agency that they didn’t have to micromanage. Ask to speak to your potential writer’s clients to see whether they are editing their copy to death, or just checking for accuracy, making a few tweaks and approving the copy. Looking for a professional content writer? 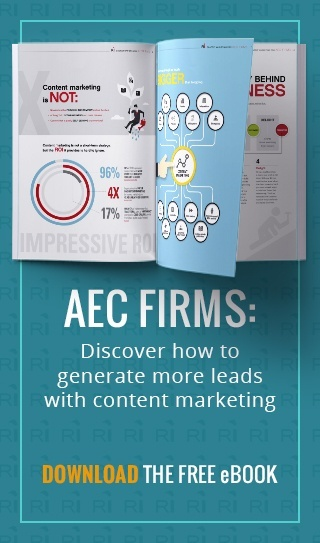 Have questions about working with a content marketing agency? Contact me at michelle@rep-ink.com or 904-374-5733.